· Use the Power Cable to connect a USB power adapter to the Osmo Mobiles charging port. · Allows you to charge the Osmo Mobile using a USB power adapter. 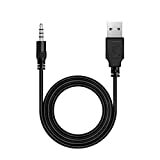 · Package list: 1 xRCstyle Power Cable for DJI OSMO Mobile. · OSMO Machine are not included.